Massachusetts – A great white shark nicknamed ‘Scratchy’ was registered last Monday in Cape Cod. 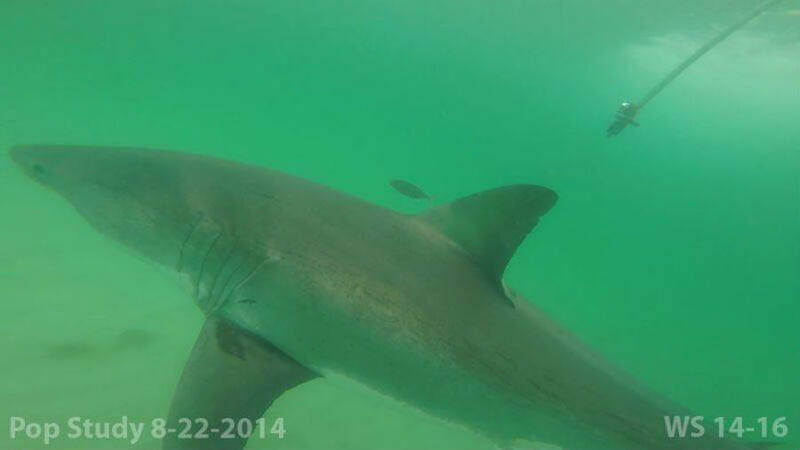 According to the research team who put the name on the animal, they tagged it last year in the shark season. They added that it is the first one to appear this year which means shark season 2016 it’s officially on. The Atlantic White Shark Conservancy (AWSC) is a non-profit organization that wants to determine the number of great white sharks that have taken Cape Cod as an aggregation territory. The animals get there around the same time starting in June every year. The law protects the great white shark, but since it lives in deep water, it’s difficult to protect them from fishermen. The animal only comes close to the shore to feed and breed, and even though they have attacked humans in the past, fatal cases are very rare. Most of the times the victims are surfers or swimmers that happened to be there. In contrast, humanity has brought its species to the brink of extinction, especially in China where its fin is a delicacy. The Asians usually make a very famous soup with it. “For the first time, modern scientists have predictable access to white sharks in the North Atlantic and the ability to study their life history and ecology over multiple spatial and temporal scales,” explains leading shark expert, Dr. Greg Skomal. “Without a strong sense of how many white sharks exist in this area or how many are being killed, the time to act is now,” reads AWSC’s official webpage. Drs. Greg Skomal and John Chishoim are the two founders of the conservancy. They are the first ones to ever tag and track sharks in the North West Atlantic Ocean. They are armed with high-spec equipment, and they are using it to track local and long movements. With that information, they can determine how big the population is and learn more about their behavior. Dr. Skogal is the director Massachusetts Shark Research Program (MSRP). His research has been directly responsible for the discovery of many fish habitats, including many species of sharks. Chishoim has been part of the MSRP for 23 years where he and Skogal use a tracking method that involves telemetry and satellites to gain a better understanding of sea life. This year the AWSC is promoting the first Great White Shark Gala. They want the event to become an annual meeting where people can get to know about “Scratchy” and its kin, curious name for a seven-foot-long white shark. This kind of events would significantly help the organization because they entirely rely on private and public donations. The apparition of “Scratchy” means business for the team that works at the MSRP and a lot of shark documentaries on television for the rest of the people.